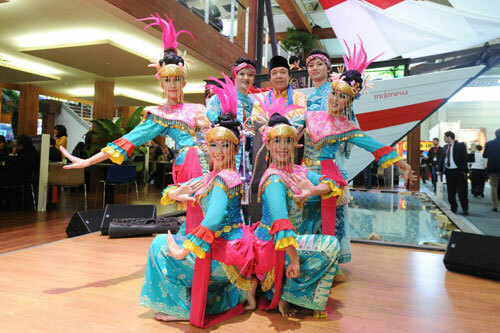 Indonesia re-capture the European travelers through the largest tourism fairs in UK, the World Trade Market (WTM) conducted at the ExCel Exhibition Center, London from November 4th until 7th 2013. England is the biggest market share for Indonesian that contribute the number of tourists followed by Germany, said by Deputy Director of Foreign Tourism Promotion Specially Europe Region from Tourism and Creative Economic Ministry, Ms. Agustini Rahayu recently. 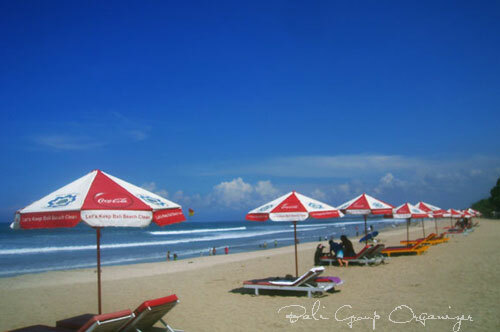 She said that the number of British tourists who has visited Indonesia for the period of January – August was recorded 141,509 people or increase 7.41% compared the same period last year 2012 in total of 131,741 people. Indonesian Tourism and Creative Economic Minister, Ms. Dr. Mari Elka Pangestu is expected to attend on this event who promotes the strategy 16-16-7 together with Indonesian Embassy for London, Hamzah Thayeb at Platinum Suite 5, ExCel London. The minister is also planned to attend the opening ceremony of WTM World Responsible Tourism Day on 06 November 2013 as well as do the meeting in conjunction with United Nations World Tourism Organization (UNWTO). According Agustini Rahayu, 16-16-7 strategies focused on 16 targets for 16 market destinations and 7 specials interest. Indonesia is currently developing 16 potential tourist destinations besides Bali, which spread from Sumatra to Papua. Indonesia is also developing 7 special interests include culture and history, nature and eco-tourism, leisure, cruises, culinary and shopping, health and fitness as well as MICE (meetings, incentives, conferences, and exhibitions). Indonesian pavilion will occupy stand AS650 in an area of ​​300 square meters. Indonesia Pavilion will appear with an icon in the form of a Phinisi Ship reflecting the award of the Indonesian cultures. Phinisi ship is not typical of traditional sailing boat from Indonesia that is come from Bugis and Makasar tribe in South Sulawesi where it is a marine transportation for local communities. 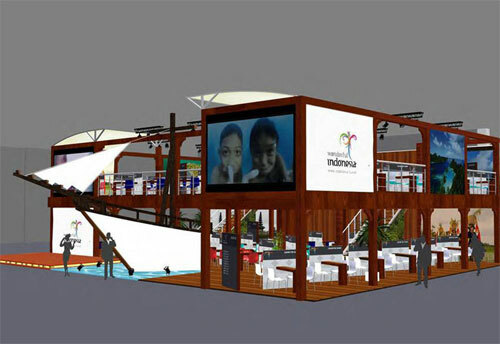 Lifting Phinisi as iconic pavilion reflects the potential for marine tourism in Indonesia, which can be seen from the number of nautical themed tourism events that took place in Indonesia, such as the Bunaken Sail, Banda Sail, Wakatobi-Belitung Sail, Morotai Sail and Sail to Indonesia. Indonesian pavilion will also feature traditional dance performances by the Jakarta Government and the Local Government of Buleleng. This event will be enlivened with typical Indonesian spa treatment demonstration and promotion of Indonesian coffee on Coffee Corner in the Indonesian pavilion. 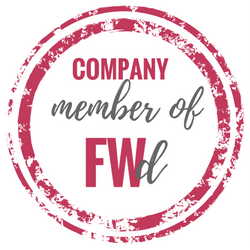 Indonesia’s participation at WTM this time is supported by 40 participants from the industry, four local governments of DKI Jakarta, Batam, Buleleng and Manado, and III Runner up Miss Tourism of Indonesia 2013, Retno Ambar Arum.